Folly Bridge House has seven studios, each with its own double bed, dining and kitchen area equipped with the elegant necessities of city living, including superfast fibre optic broadband and TV/DVDs. 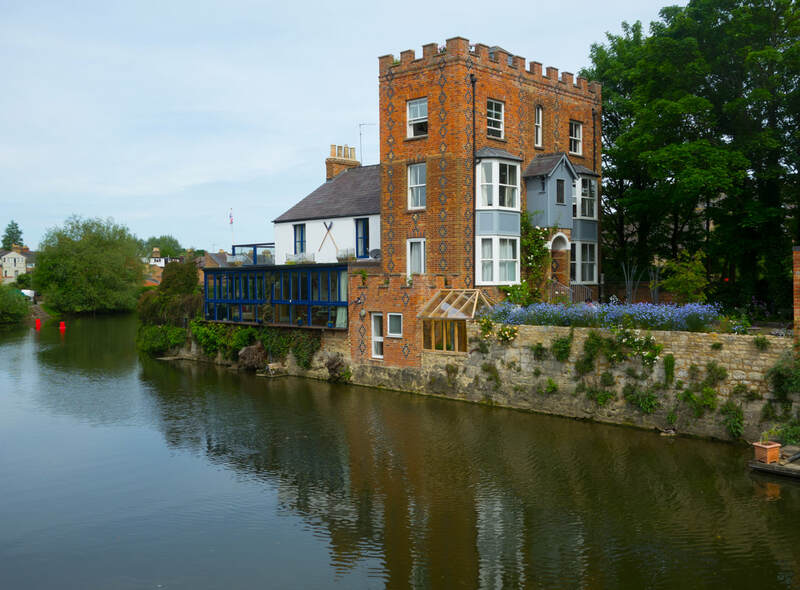 Only five minutes walk from the top of the High Street, the colleges and shops, Folly Bridge House lets you be in the bright lights in a moment and yet return to the tranquillity of the river. All studios have windows on two sides giving bright views of river life both up and down stream. Set back from the road and with new double glazing, they are well insulated and quiet. Five studios have private bathrooms. Two studios share FBH's funky wetroom with a quirky stained glass window. You can stand under the rain shower and spy on the boats gliding down the river below. Tables and chairs in the riverside courtyard allow guests to enjoy the boats and the birdlife when the sun shines. There is parking at extra charge.